Today is my handsome, sweet husband’s birthday! We had a party this weekend for the birthday boy and I think the star of the party may have been the cake. 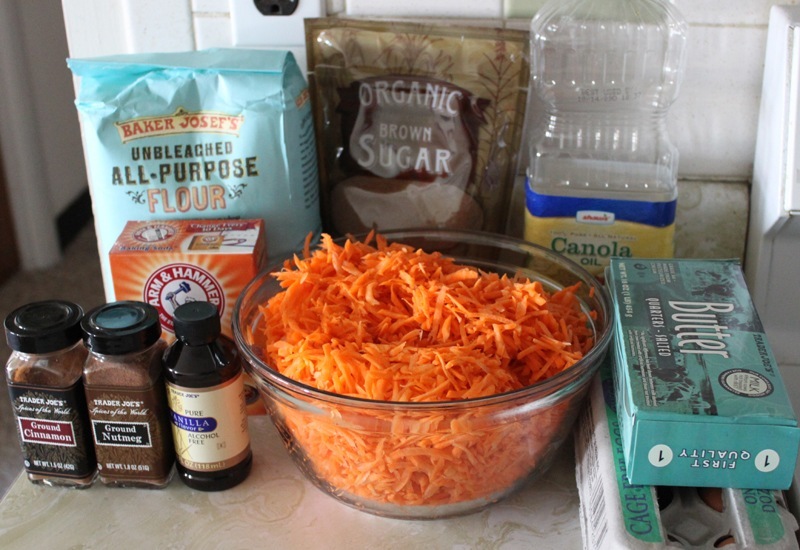 John’s favorite thing in the world is carrot cake so I did some extensive research on a good recipe. 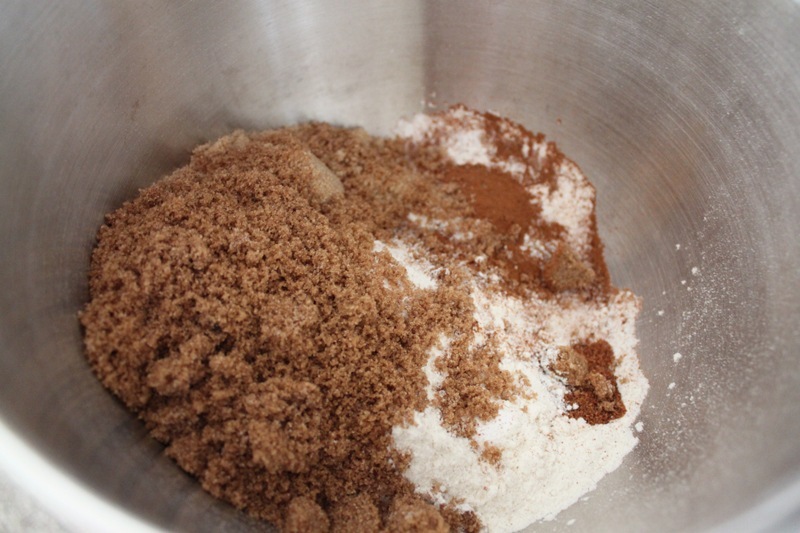 I ended up with the Smitten Kitchen recipe which, I realized after the fact, I had made before. It is delicious, naturally. The other awesome thing about this cake was that I was able to find the most wonderful, sweet carrots at the farmers market. 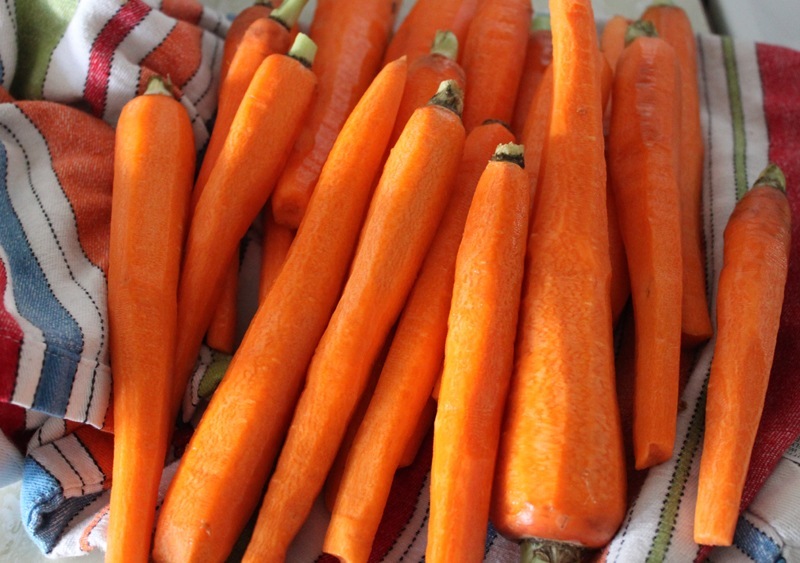 The most time consuming part of this whole recipe is prepping the carrots. 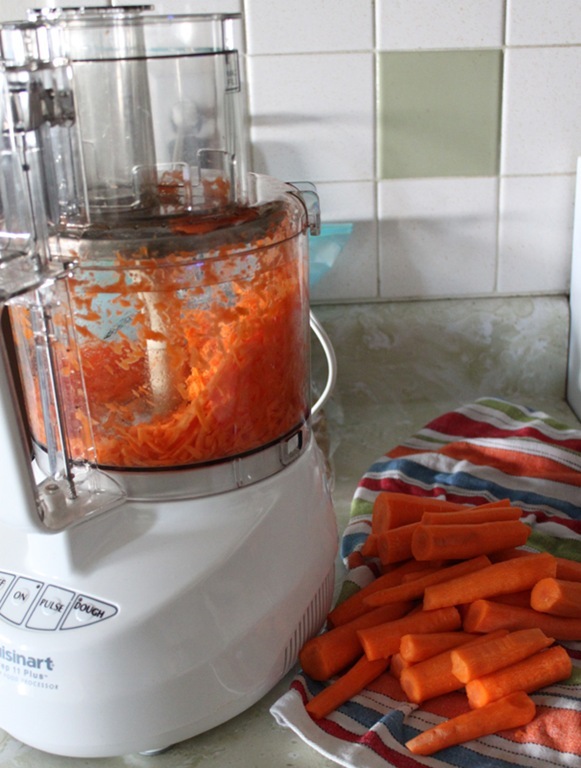 I used 3 bunches of carrots, maybe 18 or so total. 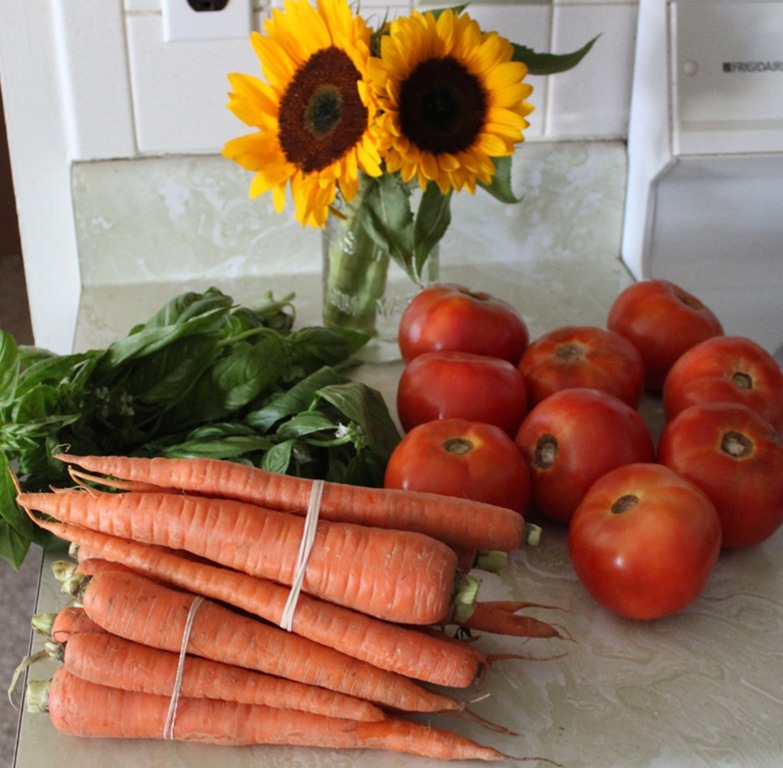 I rinsed, peeled, and trimmed them. 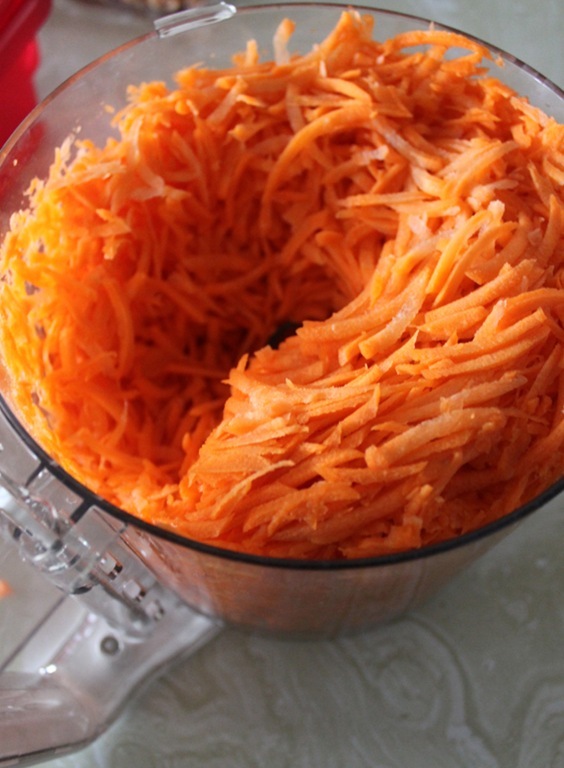 Then I used the shred blade of my food processor to cut them into small, uniform pieces. When that was done I was ready to make the cake! This will make one 9×9 cake and one 6×6 cake. 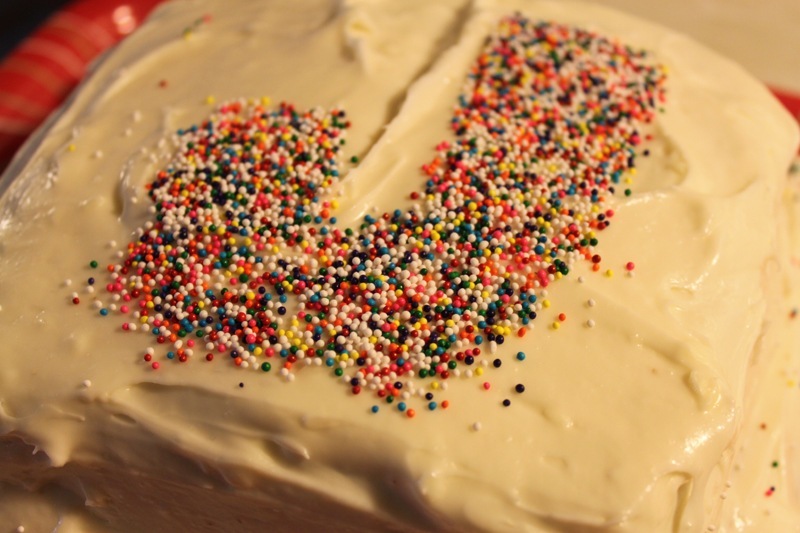 This cake batter is super easy to prepare. 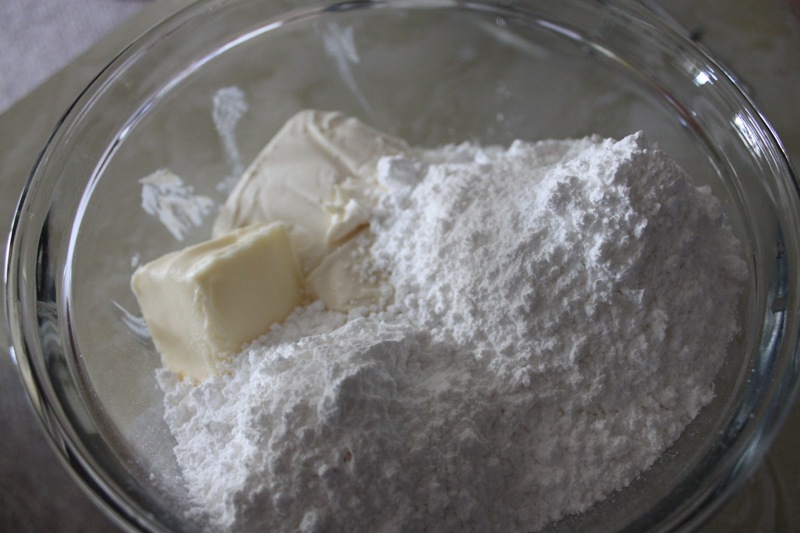 First combine all of your dry ingredients (flour, baking soda, sugar, spices) in your stand mixer. 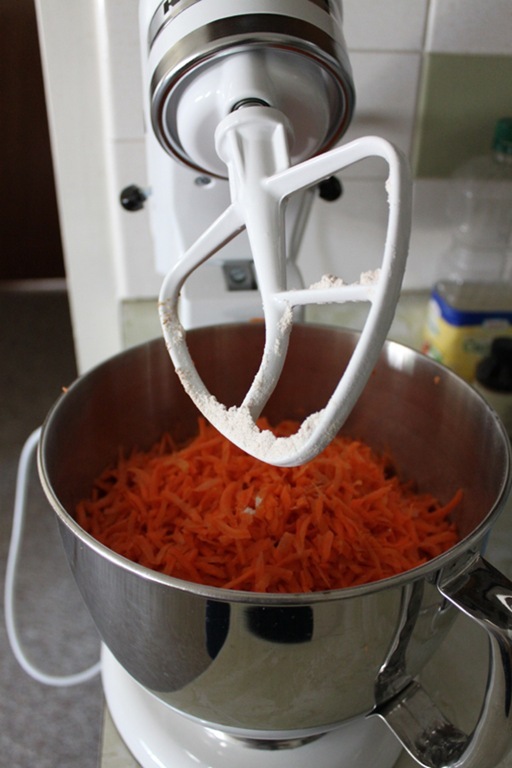 I then added in my carrots and mixed together gently to coat the carrots. 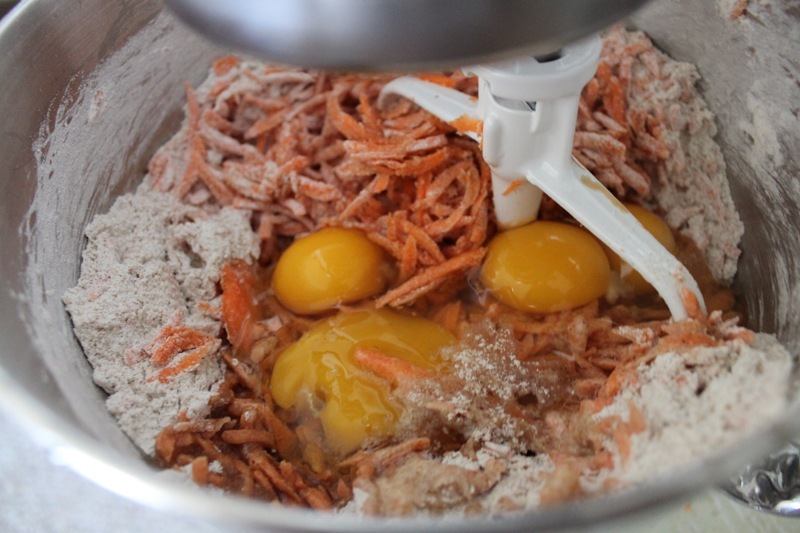 Lastly I added all of my wet ingredients (eggs, canola oil, vanilla) and mixed together thoroughly. 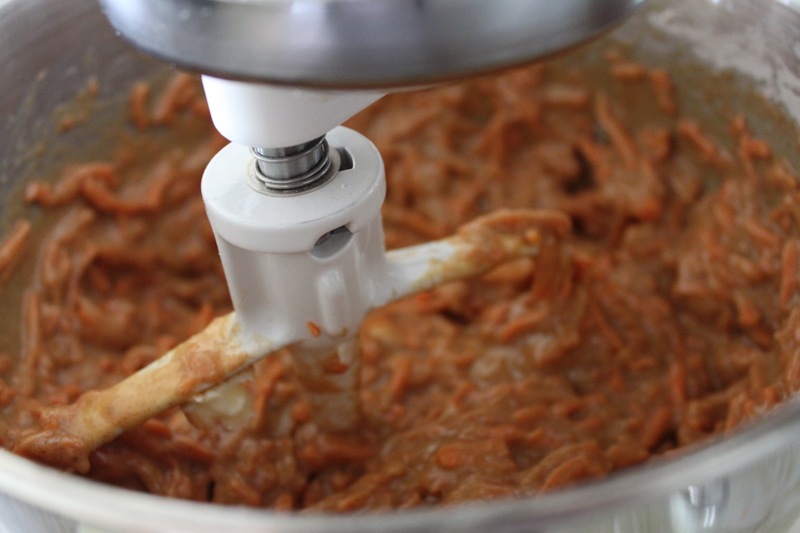 Transfer batter to any type of bakeware you like: you could make cupcakes, sheet cake, or a tiered cake like I did. Make sure to grease it liberally. Bake on 350°F for about 35 minutes, rotating once midway. 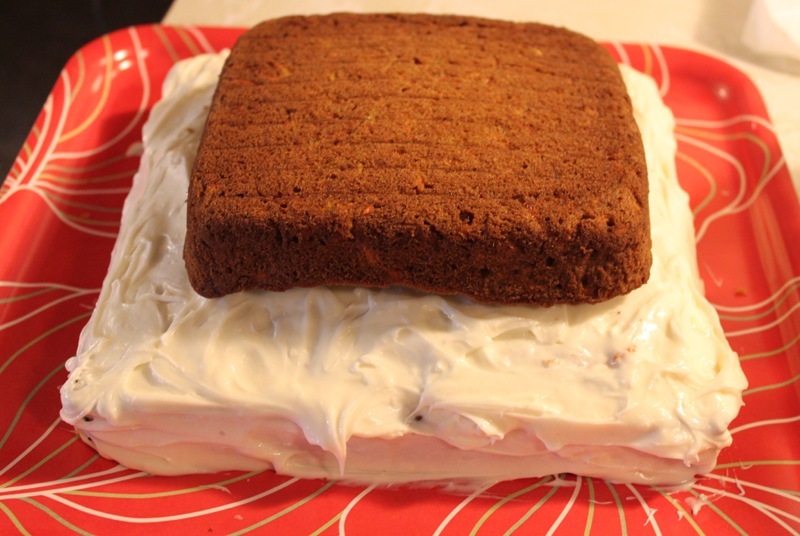 When the cake is done gently remove it from the pan and allow to cool completely. 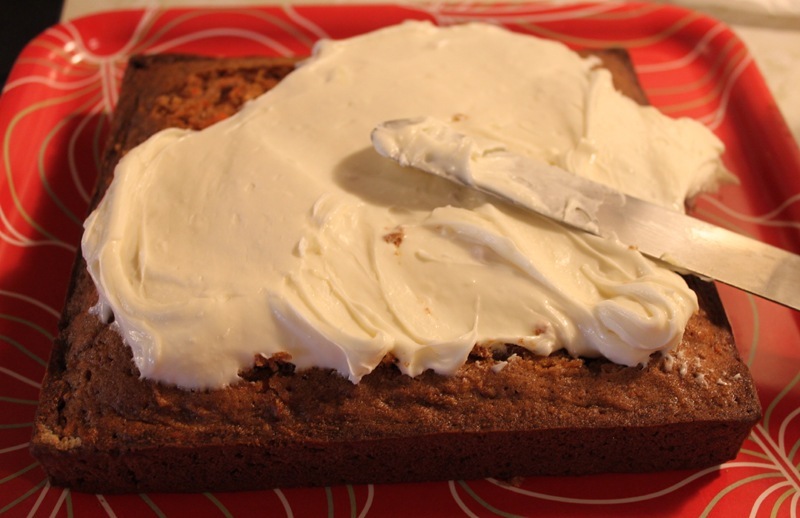 Don’t skip this step or you’ll end up with runny frosting. While the baking was going on my favorite kitchen helper snoozed on the couch. Gee thanks buddy. With no help from Reggie I went about making the frosting while the cake baked. 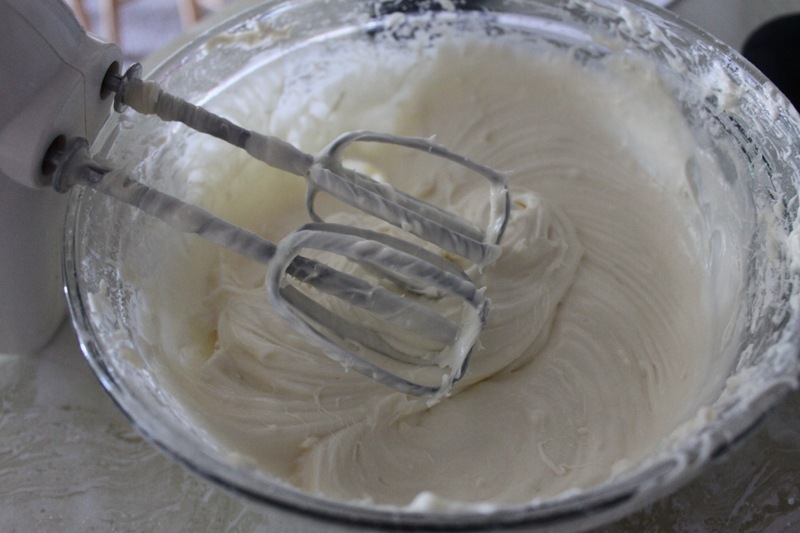 Super easy – beat your sugar, cream cheese, and butter together with a hand mixer and you’re done! 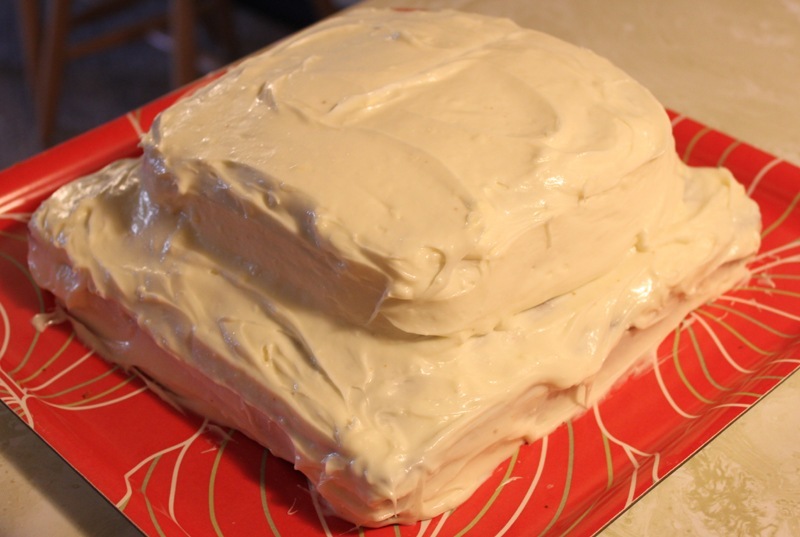 When the cake was completely cooled and ready for frosting, I leveled off the top and got to work. 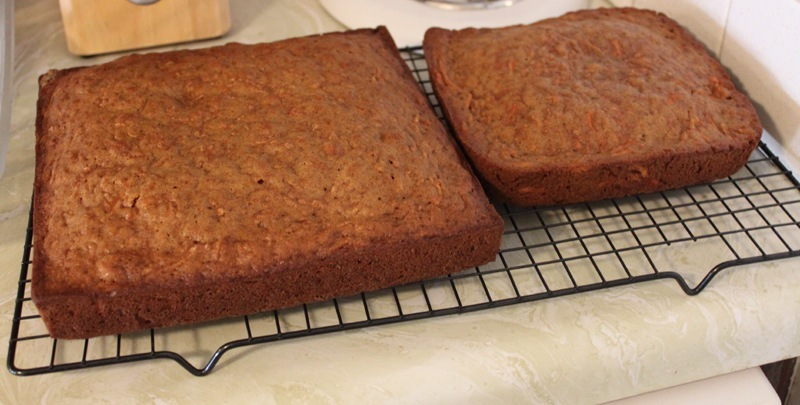 When the bottom layer was frosted I placed the top layer on and frosted that liberally. 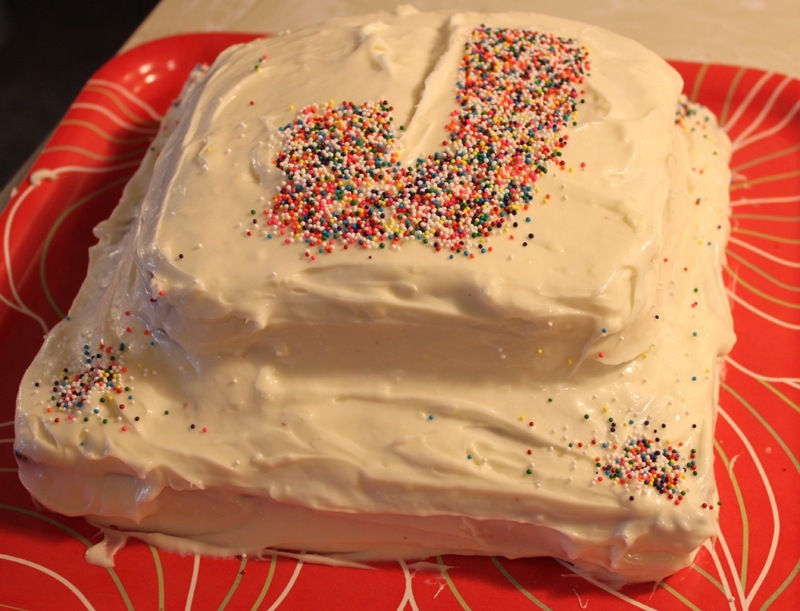 I added a little J design and corner sprinkles and the cake was done! Happy Birthday, John! The cake was absolutely delicious – thank you for sharing it with the evening’s happy attendees! 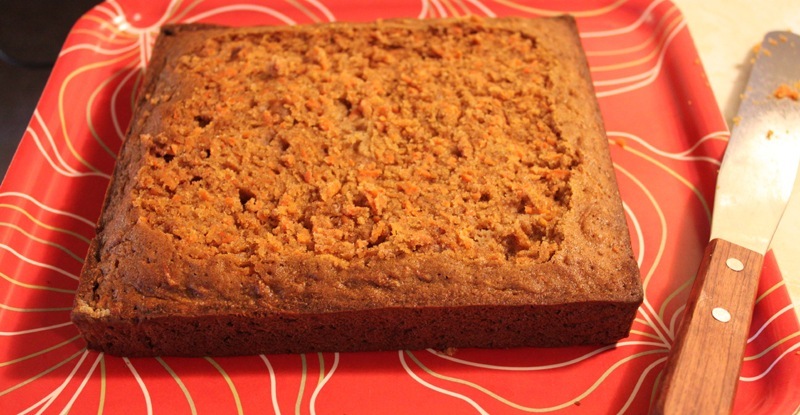 BTW, I know you didn’t make it, but the carrot cake at your wedding was amazing. Like, top three best cakes I’ve ever eaten. 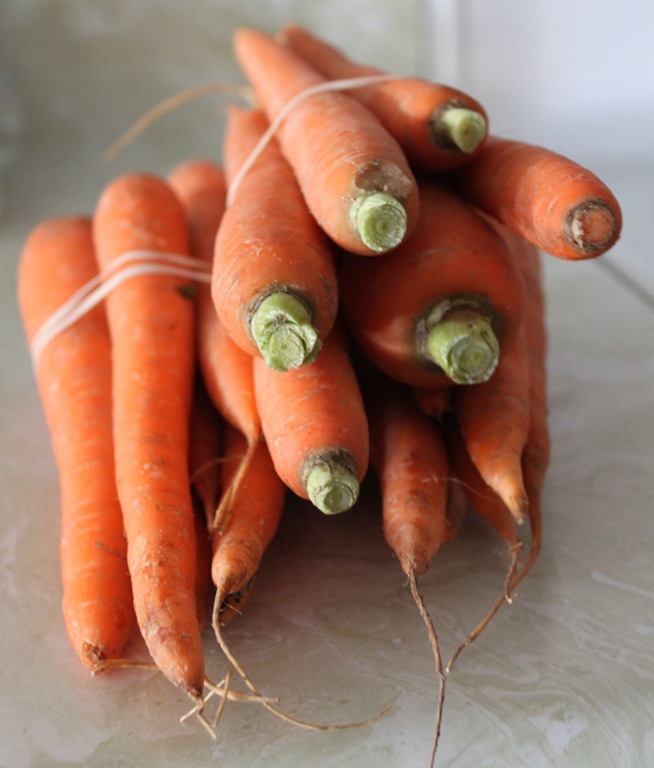 That carrot cake was the finest I’d eaten…. until this one! LET’S GO EAGLES!!! 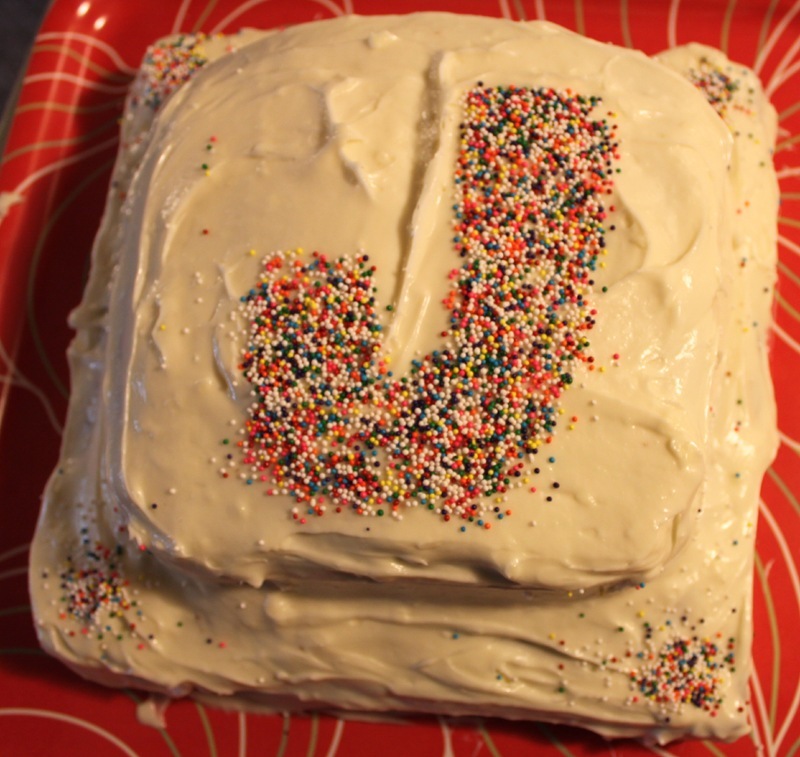 I love the cake – the sprinkle “J” is awesome! Sorry the cat wasn’t any help…my Yorkie only sniffs the ground at my feet looking for crumbs! Ah well, what can ya do? ?